A graduate of the University of Ottawa, Faculty of Medicine in 1983, Dr. Lozano underwent Neurosurgical Training at McGill University. He became a Fellow of the Royal College of Physicians and Surgeons of Canada in 1990. During his residency in Montreal, Dr. Lozano earned his Ph.D. in Experimental Medicine in 1989. 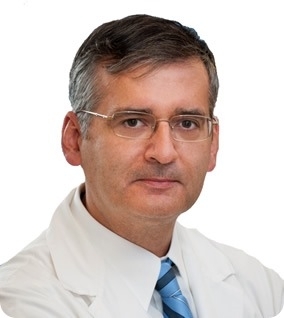 Dr. Lozano joined the Neurosurgical Staff at the Toronto Western Hospital in 1991. He is currently Professor in the Department of Surgery, and inaugural Chair Holder of the Ron Tasker Chair in Stereotactic and Functional Neurosurgery at the University Health Network. He also holds a Tier I Canada Research Chair in Neuroscience. His main research and clinical interests lie in the field of the neurosurgical treatment of movement disorders and micro-electrode recordings of the human brain.